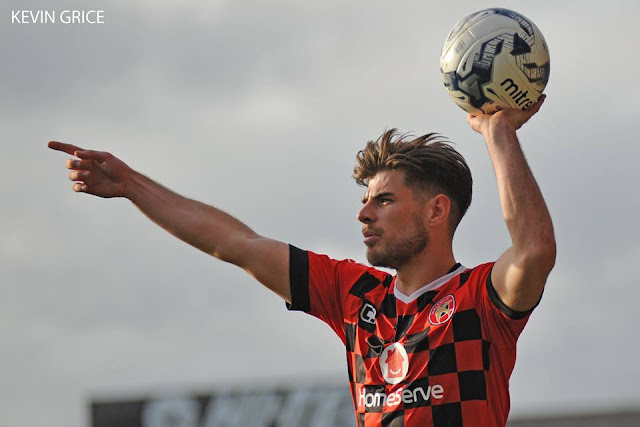 Saddlers vice-captain Joe Edwards has called upon his teammates to avoid complacency as they look to move further away from the relegation zone this weekend. Joe, who was speaking via the Express & Star, said; "Our aim now is to keep this running going. That is what we want to achieve and that is what we have lacked over the past 18 months. We have got quality in the squad, but there have been times we have let a little bit of complacency creep in and we slip down again. That has really let us down, but we know that. "But we have put a run together now and we want to take the confidence from that to improve our consistency. If we can do that, we will push up the table." Tuesday's victory over Doncaster saw the Saddlers ease their relegation woes and, not for the first time, continue together a good spell of form just as all appeared lost, but Edwards, who has scored seven goals so far this season, wants his team to build upon recent results and not drop back towards the danger zone, he continued; "That’s the most frustrating thing for us and the fans as well. We have put runs together. But then we haven’t backed it up enough for us to be higher in the table. That is what our goal is now. "Seven points from these three games is a good return. We have won three on the bounce at home as well. If we can keep this form going and push up the table it will be a much more positive end to the year. "We have always known we are good enough but it’s still nice to see a few results going our way now. We have always said we need to be more consistent throughout the season. Hopefully now we can make that happen. We have got a young squad, when you are winning games – in the way we did against Doncaster – it can give them confidence and belief."